A white dress shirt is transformed to have several variants of blue rectangular patterns using shibori (bind resist) dyeing technique, called “itajime” – square accordion fold style. The main materials for this shibori dye shirt were an old white shirt and three colors of Rit liquid dye. Some hand sewing supplies and stovetop dyeing supplies complete the list. 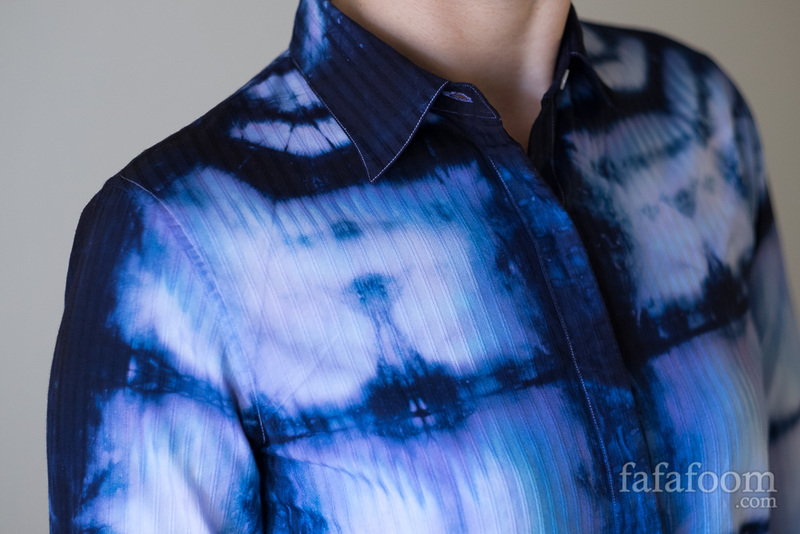 Read more about this project by visiting 7 Tips for DIY Shibori Dyeing Your Shirt, Square Accordion Fold Style post. This white shirt dress is transformed using “itajime” shibori dyeing technigue (bind resist dye, square accordion fold style) using three different colors of Rit liquid dyes.